CrossFit Amundson is world renowned for providing an atmosphere that focuses on education and inspiration, with an emphasis on developing strength in your mind, body, and Spirit. Weather you are new to physical fitness or an Olympic Athlete, you are guaranteed a challenging and supportive learning environment. Athletes joining our gym in 2019 with the six-month training agreement also receive a FREE Copy of Greg Amundson’s bestselling new book Firebreather Fitnes. We currently have 10 membership openings beginning in January, 2019. Joining our gym is fast and easy! Option One: Come to the gym and complete a Waiver and Athlete Registration Form. You can start training on your first day in the gym! 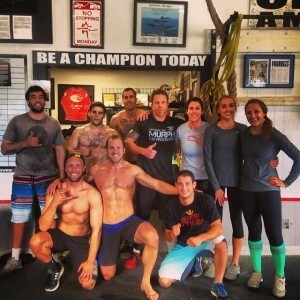 E-mail Info@CrossFitAmundson.com or call 831-332-1187 with any questions. Option Two: We offer new Athletes the option of purchasing Private Training Classes with a CrossFit Amundson Coach. This is a great option for Athletes new to the CrossFit program, but not a requirement for joining the gym. 6 Month Membership Special – $599.00 (save $211.00!) BUY NOW – Includes a free copy of Firebreather Fintess! Visit the links below for current information on pricing, our schedule and our location.